Portable, compact,can hold 8 Arrows. Great Accessory for hunting. With metal clip for attaching securely on your belt,Easy to carry. Material:Oxford Fabric,liner plate, metal buckle. Size: 35 x 15 cm / 13.8 x 5.9 inch. Weight: 100 g / 0.22 lb. 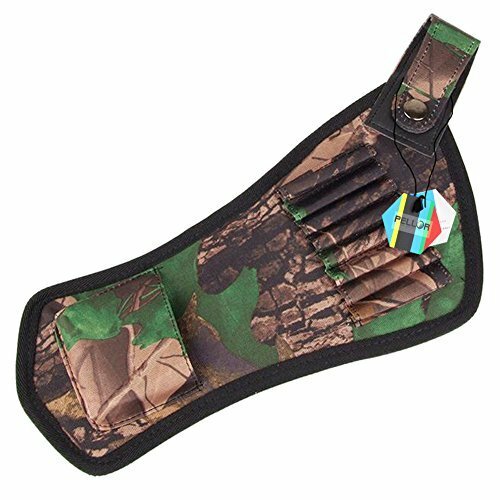 Package includes: 1 x Camo Quiver(bows and arrows are not included) .